As a plaintiff’s personal injury trial lawyer who is genuinely concerned about maintaining the independence of the judiciary, I am proud to report the Supreme Court of Georgia is the most productive high court in the country, according to a recent study by The University of Chicago Law School. 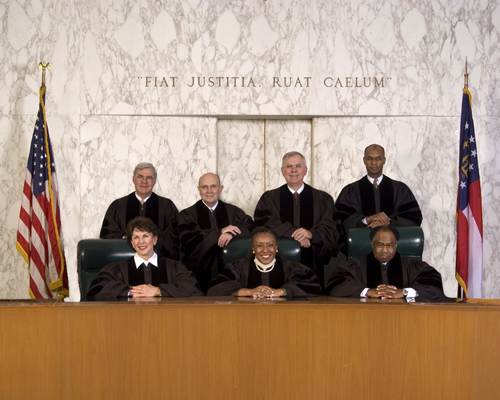 Among the 50 states’ highest courts, the Georgia Supreme Court issues 58 opinions per justice a year – more than any other state. The median is 23 opinions per judge in Kansas, and the low is 12 written opinions per judge in Oregon. Other studies have sought to rank the nation’s high courts. But this one, entitled, “Which States Have the Best (and Worst) High Courts?” measured three areas of quality – productivity, influence and independence. The study’s authors concluded that while no state is a clear winner in all categories, California probably has the “best high court.” But Georgia is ranked among the top five. Productivity is a sign of the quality of judges, the authors state. High publication rates are an objective measure of “a high-quality judge,” and an indication that many disputes among people are being resolved, and the public is being informed about their reasoning.